Clients can avail from us Energy Balls that are known for providing optimum level of finger and palm relaxation. 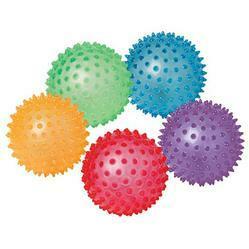 These are provided with a pointed ball in order to give a fast and sharp massage. Furthermore, the products are known for improving the digestive system and reducing sweating of palm. The energy-ball pointed products are made using high quality wood and rubber by the vendors. Acupressure Ball offered by us is made for stimulating special points of the hands, foot and body. It just requires rolling it in your hands 5 to 10 minutes daily and works best for middle part of palm & finger relaxation. - Sturdy extendable shaft lengthens to 20"
- On-the-spot relief for those hard to reach areas. Leveraging over the skills of our qualified team of professionals, we are involved in offering high quality range of Acupressure Massage Ball. This Acupressure Massage Ball is known for its availability in different sizes. Furthermore, latest technology is used in the manufacturing of this product. magnetic massage ball keeping health, preventing illness from you, and always keeping your body relaxation.